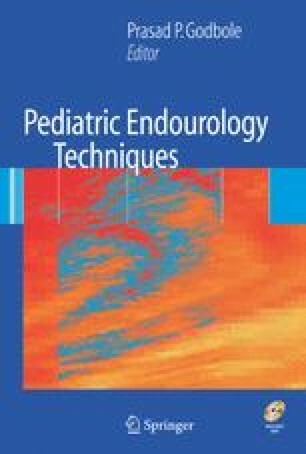 The evolution of pediatric laparoscopy techniques lagged behind that in adults largely because of the greater need, and greater challenge, to perform reconstructive procedures. This required a high level of skill and experience in delicate suturing techniques, which have been the most difficult to develop in conventional laparoscopy. As a result, although laparoscopic pyeloplasty was first described in children 10 years ago, it has not been widely used, despite the fact that in adult practice it has become a common procedure. In addition, the pediatric urologist is inherently a surgeon who performs a wide variety of procedures, even in an academic practice, making it difficult to focus the necessary time and energy on developing the skills for one procedure, such as laparoscopic pyeloplasty. The case volume for any one procedure is limited as well. With the advent of clinically useful robotic assistance in laparoscopic surgery, however, the potential for delicate pediatric reconstructive laparoscopy was realized.